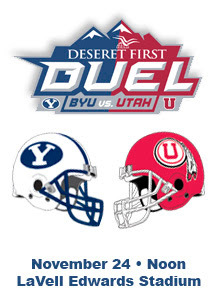 We are the Dao's: BYU Won! Did you watch the Utah vs. BYU game yesterday? It was an awesome roller coaster ride. Just when we thought we were going to lose it with a minute and half left in the fourth quarter (and it was 4th and 18), we had a huge comeback. I was jumping up and down like a monkey along with bunch other BYU alumni. (The similar scene happened back in the year 2001). And this Leslie writing, not Thanh. Many thanks to Thanh who taught me all (ok, almost all) the rules about football. No offense to other ball games fans, Football is the greatest. I am hoping, if not both, at least one of our kids will go to BYU years down the road, so we can go back to visit BYU again. Go cougars! 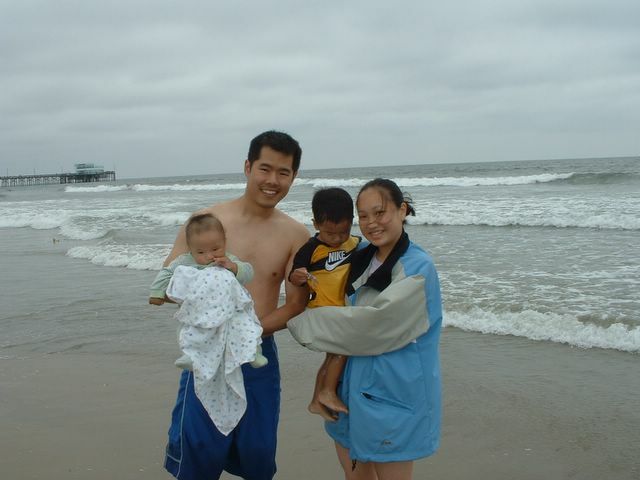 Leslie, You got tagged! I thought I left you a comment...sorry. Maybe that's when my internet stopped working. AWESOME GAME! I blogged about it too. heheh. Football is the best. GO BYU! ps. Don't forget to watch the basketball season too. BYU is ranked number 25 right now.